Offshore platform, Gulf of Mexico. Photo by Chad Teer, Wikimedia Commons. Falling oil prices which started in late 2014 have highlighted an increased emphasis on the cost to produce oil, particularly from shale oil formations in the U.S. With 50% of US oil production coming from US shale, analysts initially estimated breakeven prices for shale oil operations to be at $75 per barrel, then lowering those estimates to $50 per barrel, and now, in some core regions, breakeven prices are as low as $30-$35 per barrel. For some time, oil & gas producing countries as well as those countries that depend on energy imports have been experiencing a decline in domestic production, forcing these countries to increasingly turn to technology for oil & gas drilling, extraction, and production. The technology they turn to has principally been developed by experts in the US and Canadian oil & gas markets, which is now being earnestly adopted by countries around the world. One of the first examples of the adoption of such technological innovation was during the declining oil production period in Oman from 2000-2005. 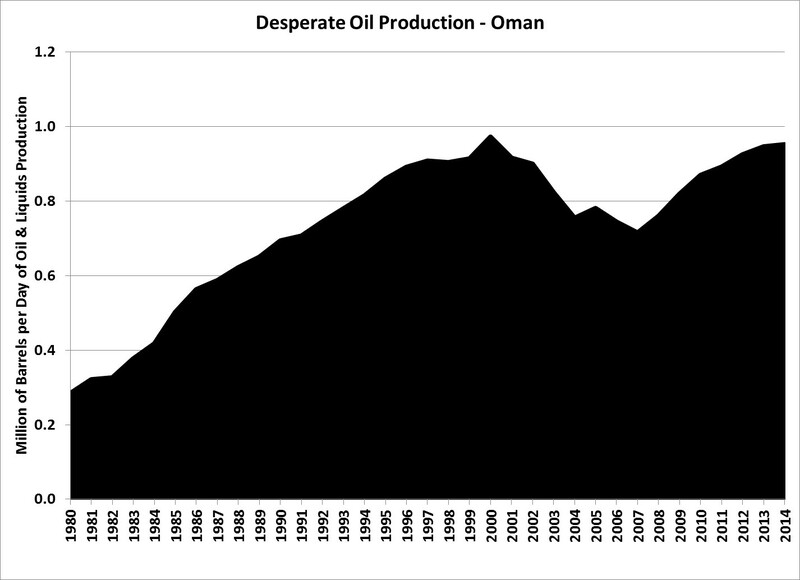 Oman’s economy is heavily dependent on oil exports and, thus, declining oil production was problematic. That problem was solved by enhanced oil recovery innovations first developed and used on mature oil fields in the U.S. and Canada. As Oman realized that extraction and oil production from mature fields like the south-central Mukhaizna field needed to improve recovery and operations, the Sultanate of Oman turned to companies like Occidental Petroleum (OXY) to take over operations. Occidental’s 30 years of experience in Oman and its enhanced oil recovery techniques used in its operations in the US Permian Basin Central platform allowed Occidental to help boost Oman oil production from the Mukhaizna field by 15 times 2005 levels. Occidental would use flooding technology and techniques improved upon in the Permian Basin Central platform to begin a steam flooding operations in Oman. Steam flooding technology is used in Canada’s oil sands since the 1980s and is referred to as steam assisted gravity drainage (SAGD). Since oil production collapsed in Oman from 2000-2005, companies like Occidental have leveraged technology and helped the country set all-time record oil production of 1 million barrels per day in 2015. Egypt is another example of a country that needed to adopt technology and innovation. 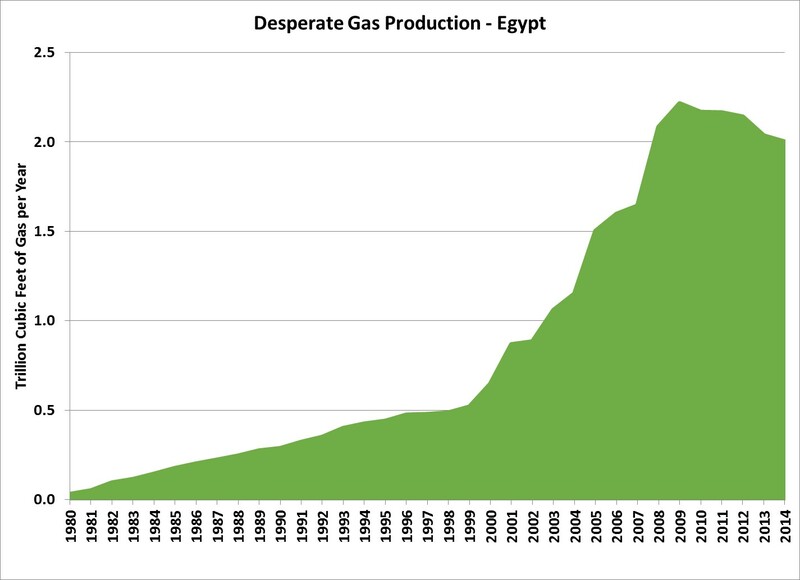 As a major exporter of natural gas, Egyptian gas production fell from 2009 highs and by 2013, while natural gas production met domestic consumption, Egypt was no longer an exporter of gas. Currently, Egypt is in need of natural gas to meet domestic demand and export obligations to certain countries, LNG terminals, and pipeline facilities. Fortunately, in 2015, Eni Spa (E) discovered one of the largest gas finds off the Egyptian coast in the Mediterranean: the Zohr field. While Eni’s discovery will likely increase Egypt’s gas production by 33% into 2019, Egypt had encouraged the use of new technologies to discover gas onshore before the Zohr discovery. One of Egypt’s largest onshore oil & gas producers, Apache Corp. (APA), had begun using US technologies to increase the production of oil & gas from 2013/2014. Apache discovered the usefulness of horizontal drilling and fracturing as it noted the layered formation in Egypt’s Western Desert is similar to the layered formations in its operating acreage of the Permian Basin. In January 2014 Apache released results of a horizontal well drilled in Egypt’s Western Desert. The horizontal well, which was drilled at a cost of $6.5 million and to a lateral length of 1,970 feet, produced 2,181 barrels of oil equivalent per day (77% oil). To put that into perspective, Apache drilled a horizontal well in the Midland Basin of the Permian Basin for $4.5 million with a lateral of 5,054 feet which produced 1,372 barrels of oil equivalent per day (69% oil). With the success of Apache, Royal Dutch Shell (RDS-A) has partnered with Apache to drill for unconventional gas in Egypt and Dana Gas will test horizontal wells in the Nile Delta. Finally, Turkey is completely dependent on oil & gas imports with 98% of gas imported from other countries. 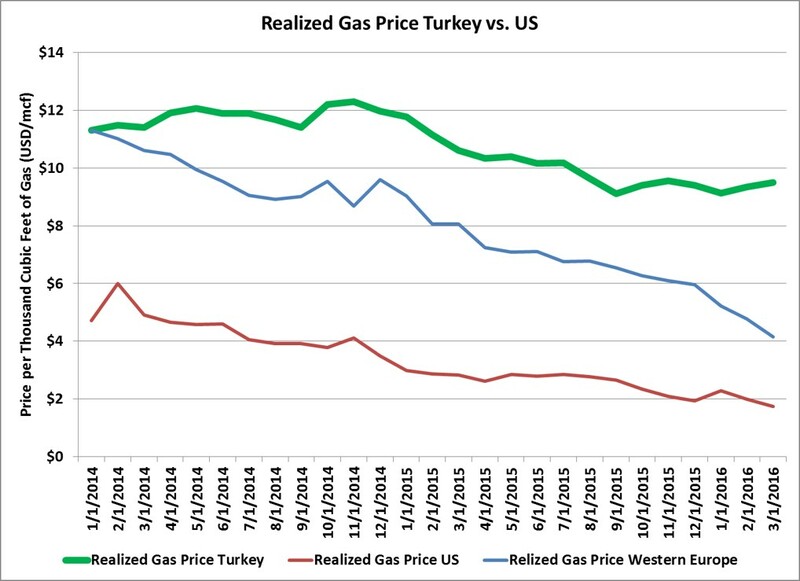 The Turkish natural gas market trades at a premium to its US and European counterparts and has been a coveted market for Russia, Iran, and Azerbaijan, who supplies Turkey with 87% of its total natural gas imports. Turkey has one other main domestic gas producer aside from Turkey’s state-owned Turkish Petroleum. 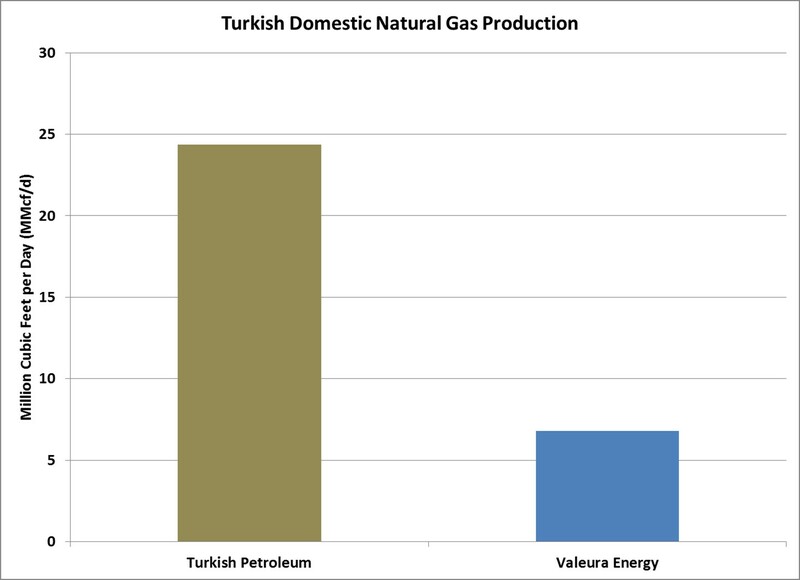 A small Canadian gas producer, Valeura Energy (VLE.TO), has begun testing and producing from horizontal wells that have been fractured to access tight gas deposits in Northwest Turkey’s Thrace Basin. With royalty rates of 12.5%, a low tax rate of 20%, and a premium gas market, investment in Turkey’s domestic natural gas industry has become very attractive. In May 2015, Statoil (STO) had taken notice of Valeura Energy and the company bought a stake in Valeura’s Thrace Basin operations for a total value of $36 million. 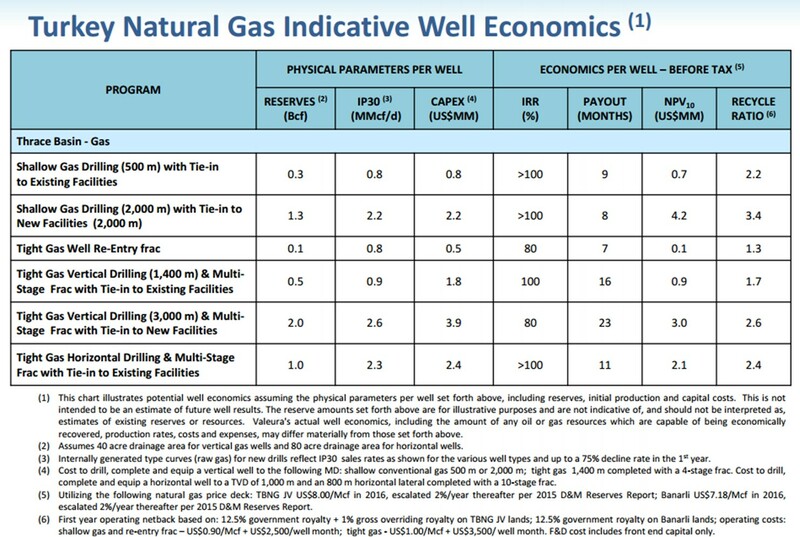 As Valeura tests horizontal drilling and fracturing in the Thrace Basin, its well economics show per well payouts of less than one year at current gas prices. 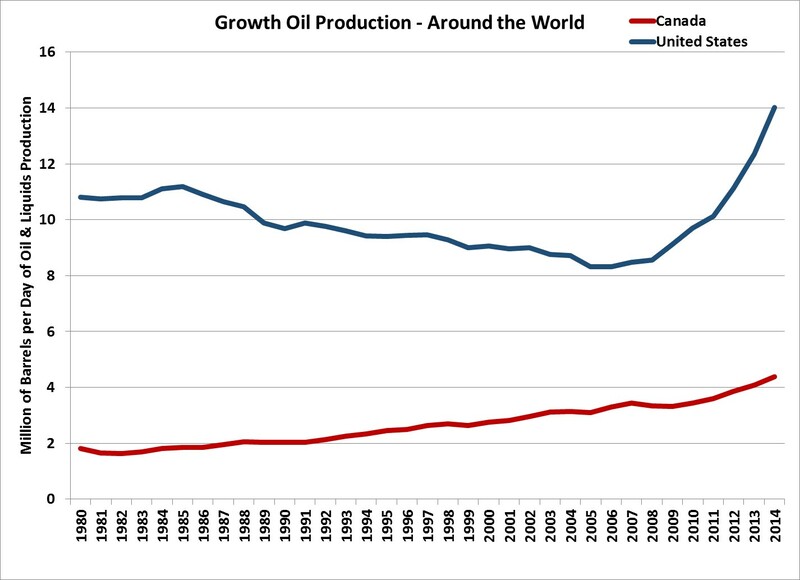 By no means has US and Canadian technology in shale and heavy oil been wholly adopted around the world as the de facto standard. This may, in fact, be a good thing because the technologies used by US and Canadian companies give them a distinct competitive advantage that helped shift the dynamics of the global oil industry. The implementation, development, and innovation of US shale drilling, enhanced oil recovery, and Canadian heavy oil extraction has been proven over decades and it gives the world an insight into how new technologies can re-invigorate oil & gas production. Recently, Mexico opened several bidding rounds on oil & gas exploration and production blocks to foreign companies and it plans to develop its oil & gas deposits with technologies from the US and Canada. Mexico has noted the prolific Eagle Ford shale formation in the US extends southward and Mexico hopes to tap into the extended unconventional resource with the help of US shale technology and investment in energy infrastructure. Additionally, Latin American heavy oil producers, Mexico and Venezuela, are facing technological issues in the blending and refining of its extra heavy oil. Similar to Canada, Mexico and Venezuela must import ultra-light oil from the US, referred to as condensates, in order to blend with its heavy oil. The blending allows heavy oil producing Mexico and Venezuela to flow its oil through export facilities and domestically refine its oil production with dated refining technology. The importing of condensates from the US is costly and takes away from a country’s oil producing independence. Canada has countered some of its reliance on importing US condensates by both producing its own condensate and building complex refining infrastructure. Currently 42% of condensates used to blend into Canada’s oil sands production are produced domestically and 37% of Canada’s oil sands production is upgraded into lighter oil by projects like Canada’s Syncrude partnership. 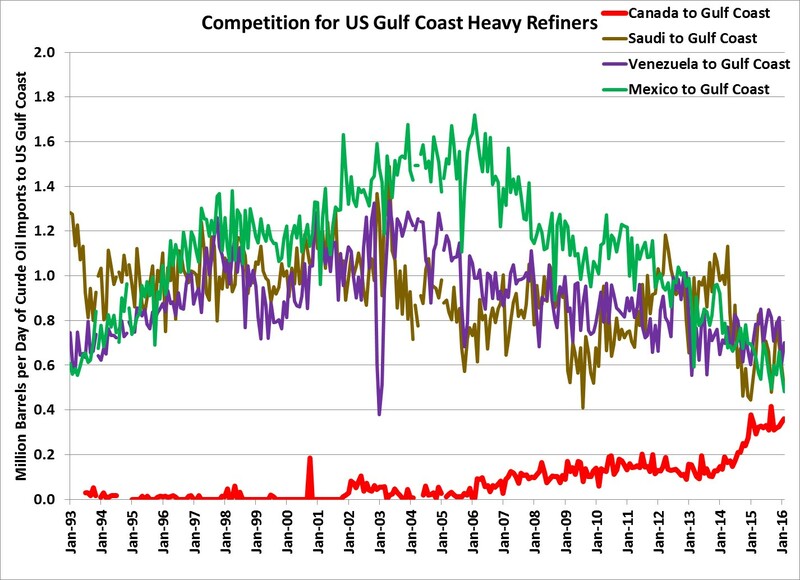 All this lessens Canada’s dependence on US condensates and makes Canada’s heavy oil cheaper and more competitive in the US’ largest heavy oil refining market: the US Gulf Coast. While the Canadian model for heavy oil is something Mexico and Venezuela are both looking to replicate in the future, both countries are going to need to attract stable investment and technology. Mexico has begun capitalizing on foreign investment, but Venezuela may need to push for further capital reform and solve deeply entrenched political issues in order to attract large investments. The world no longer operates under the “he who has all the gold makes all the rules” paradigm. In fact, that paradigm has shifted. In the new age of technology, those who can innovate and adapt are able to control and influence part of the market. While the most efficient and largest oil markets in the world: the U.S., Saudi Arabia, and Russia are all testing and using horizontal drilling and fracturing as the technology of the future – it’s just that the US is the most advanced of the three regions. Saudi Aramco, the state-owned oil producer of Saudi Arabia, has established the Aramco Research Center in Houston to research and explore the usage of unconventional oil & gas production. Additionally Saudi Aramco has been attempting to acquire US drilling technology through recruitment targeting shale workers. Russia’s Lukoil is also using horizontal drilling and fracturing to increase production in some of its Siberian oil fields, but it has yet to reach anywhere close to the size and scale of US shale oil & gas production. As technology plays a larger role in the next phase of growth in the world economy we are seeing traditional markets being altered by this “third industrial revolution.” In the US, Amazon dominates the retail industry, Facebook dominates the way we communicate, and YouTube has changed the landscape of entertainment. The new technology and innovations developed and improved by the US and Canada’s oil & gas industry may soon dominate the global oil & gas industry as these technologies and techniques further make their way into global markets. The next major oil superpower may not necessarily be a country with vast resources but rather the technology and innovation created by countries and companies that adapt to the changing dynamic of the new oil & gas order and that foster investment and competition within the industry.